In a fascinating account (Martin Wolf, Financial Times), Bernanke S. Bernanke pulls back the curtain on his efforts as chair of the Federal Reserve to prevent a mass economic failure, working with two US presidents and using every Fed capability, no matter how arcane, to keep the US economy afloat. 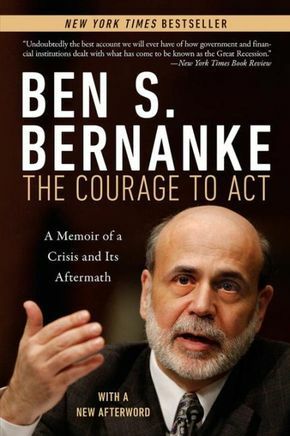 In 2006, Ben S. Bernanke was appointed chair of the Federal Reserve, capping a meteoric trajectory from a rural South Carolina childhood to professorships at Stanford and Princeton, to public service in Washingtons halls of power. There would be no time to celebrate, however - the burst of the housing bubble in 2007 set off a domino effect that would bring the global financial system to the brink of meltdown. Bernankes experiences during the initial crisis and the Great Recession that followed give readers an unequalled perspective on the American economy since 2006, and his narrative will reveal for the first time how the creativity and decisiveness of a few key leaders prevented an economic collapse of unimaginable scale. Ben S. Bernanke served as chairman of the Federal Reserve from 2006 to 2014. He was named Time magazines Person of the Year in 2009 and was a professor of economics at Princeton University prior to his career in public service.